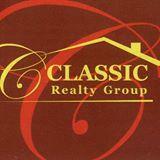 Courtesy Of Classic Realty Group, Inc.
Cape Cod Style home. Four bedroom, one bath, eat-in kitchen, living with fireplace and dining room. Basement, enclosed front porch, and 2 car detached garage.